Wonder Girl has always enjoyed playing with her baby dolls and their accessories. A couple of years ago she received the Baby Born water fun wash basin for Christmas after seeing it on one of her favourite YouTube toy review channels. So when I was asked to be part of the Baby Born bath time campaign I had to say yes as I knew she’d love some more toys to add to her collection. 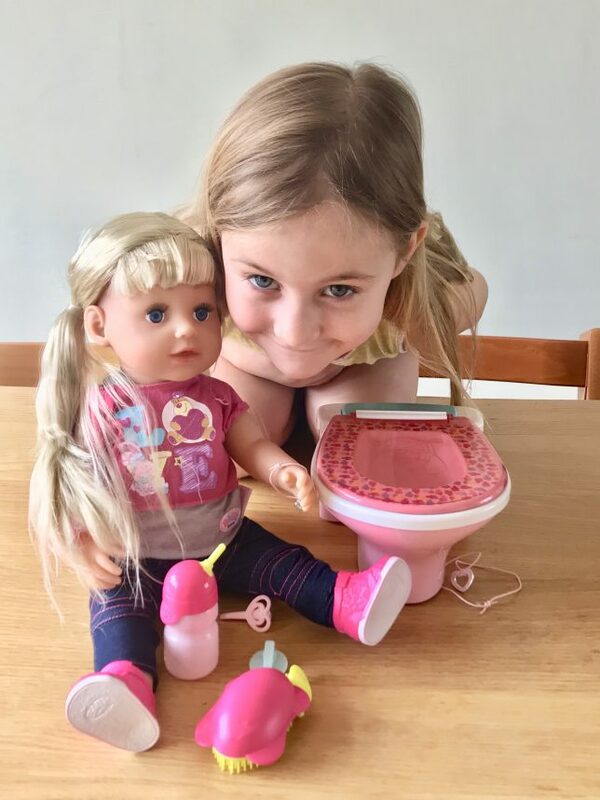 She received the Baby Born sister doll and the interactive toilet. It came at a perfect time, Wonder Girl was off sick from school and feeling a bit sorry for herself, but her new doll perked her up. She loves the big sister doll, she has long hair and comes with a brush and accessories to style it. She also comes with a complete outfit, with snazzy trainers, which Wonder Girl declared very cool. Also included is a bottle which you can fill with water and feed her. Squeeze her right arm after feeding and she cries real tears. The toilet goes very well with her washbasin as her dolls can now have the full bathroom experience. When the doll sits on the toilet she is rewarded with a melody. Press the flush and you hear flushing sounds and giggling. Wonder Girl is thrilled with both, and has carried the doll around everywhere this weekend. 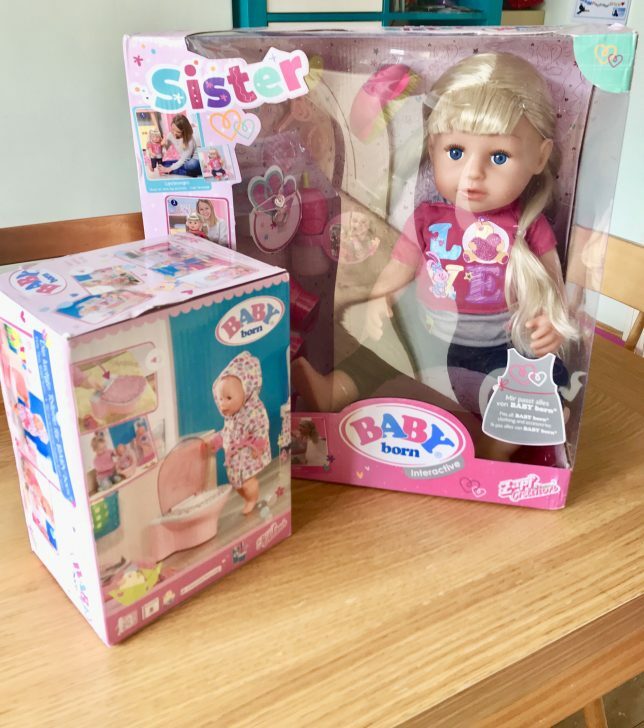 I think the sister doll is a perfect addition to a Childs baby doll collection as they can expand their play to include sibling dynamics. The Baby Born sister doll retails for £49.99 and the toilet is £14.99. *Disclaimer; I was gifted these toys in exchange for taking part in the promotional campaign.